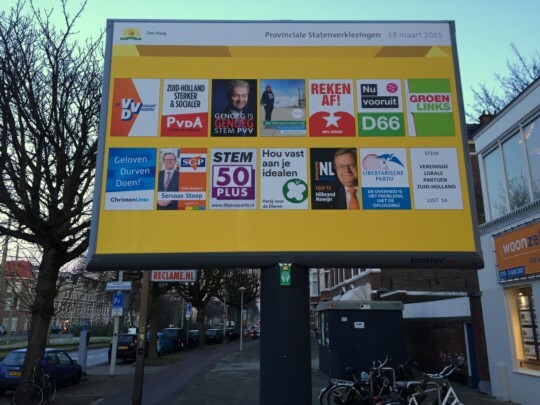 Posted on April 23, 2015, in Netherlands, Regional and local elections. Bookmark the permalink. 8 Comments. I wonder if anything similar to what happened in Oldambt has happened in French local government; where towns traditionally controlled by the Left Front/Communists have switched to the National Front. Very good article. I would like to comment on what you call a ‘rightward shift’, which I think you’re overstating. 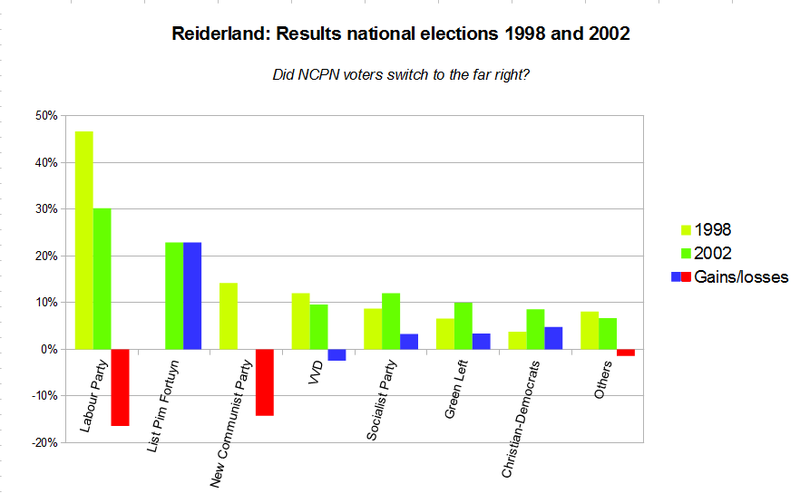 ChristenUnie is not a right-wing party, at most it is centrist. 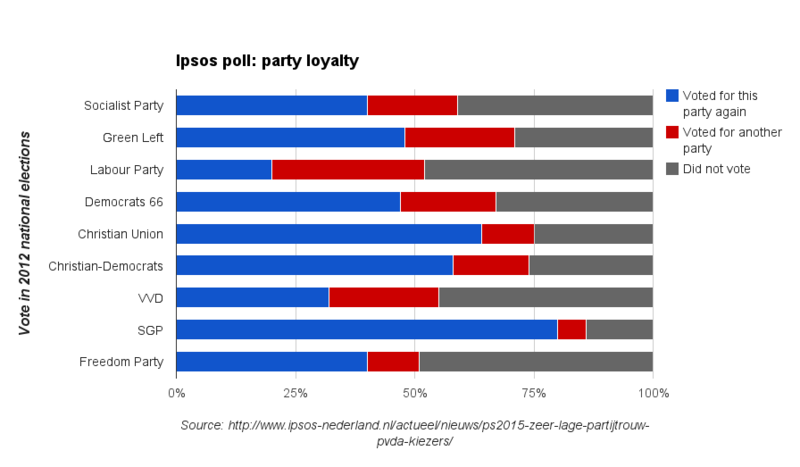 PVV is very left-wing, economically, hence far-left voters moving to support them. 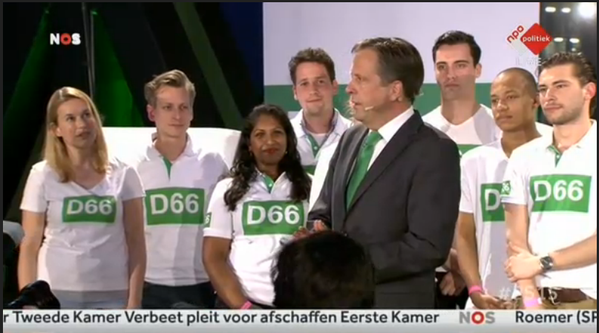 D66 is a centrist party. So it’s not that clear that they belong in the categories you assign them to, undermining your claims of a shift. 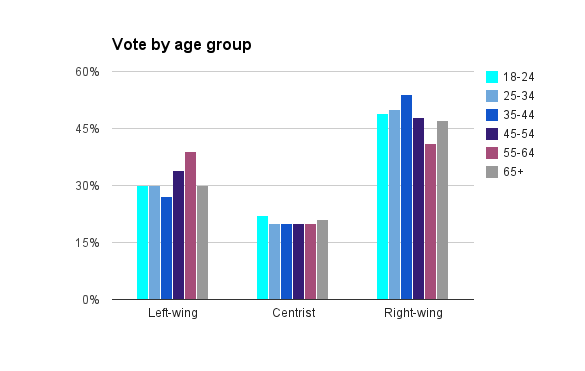 Sure, the most clearly left-wing parties collectively held less than before, but the ‘right’ has not really grown. So the move was mainly to parties that can be best seen as centrist. Either way, the shifts have indeed been rather small, as the Economist said, so there is indeed a lot of stability. 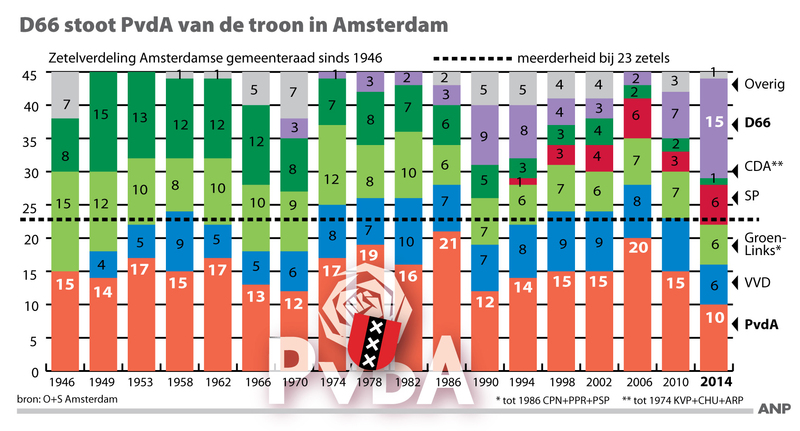 You call D66 “centrist”, and I think that’s still fair enough; but my point was that this in itself constitutes a shift to the right from previous times the party was strong, as the party was considered center-left before. The current D66 platform on socio-economic policy is several notches to the right from what it used to be under Van Mierlo or Terlouw. In fact, if economic policy were the only thing that counted, D66 should, I believe, nowadays be called center-right; but the party’s continued progressive views on cultural issues and its sharp resistance against the Freedom Party’s xenophobia compensate for that. 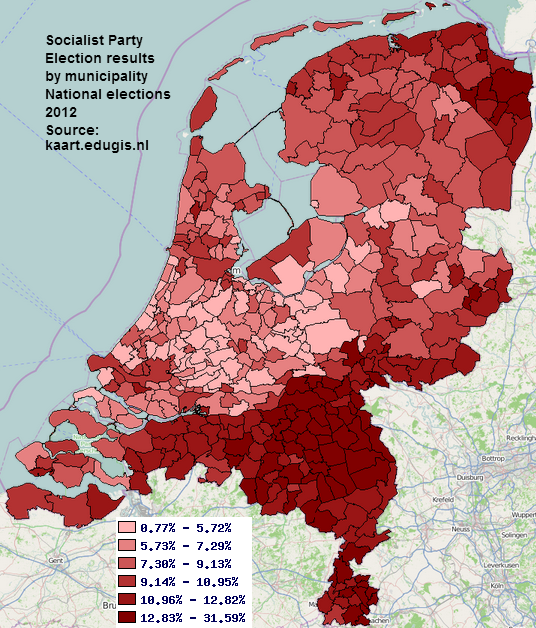 More or less the opposite holds for the Freedom Party (PVV): its nationalism and xenophobia place it fairly far to the right, even if its economic rhetoric has sharply shifted to the left in the last few years. I definitely wouldn’t go as far as call it “very left-wing” though, as you do. It’s not remotely ideologically consistent enough to qualify as such. I would argue that its socio-economic line is better described as plainly populist, which makes for a sometimes jarring mix of leftwing-sounding elements (defense of pensions and other parts of the welfare state) and rightwing-sounding elements (enthusiasm for tax cuts, intolerance for ‘benefit scroungers’). And of course Geert Wilders himself was a bit of a libertarian not all that long ago; the welfare state chauvinism of the PVV is fairly recent (and in my view transparently opportunistic). So I’m looking at the overall picture. 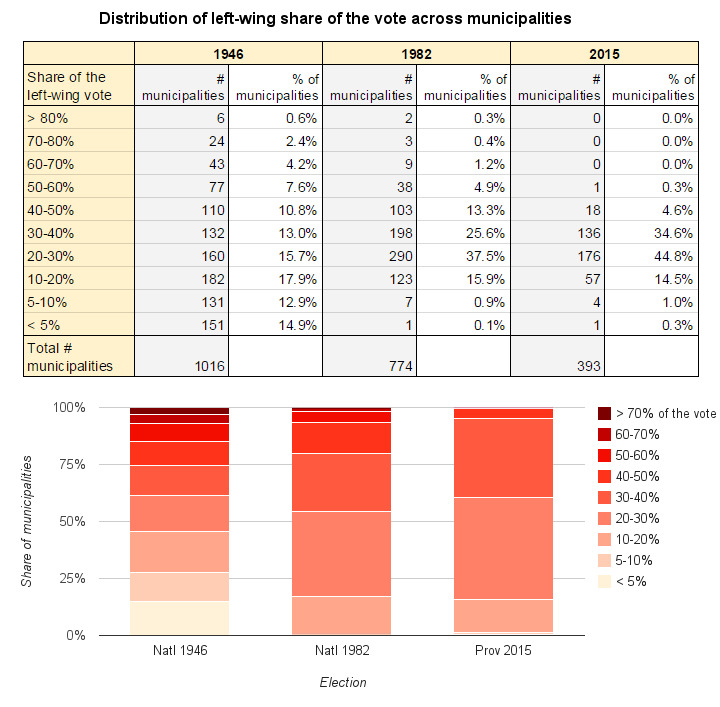 (1) The left is electorally weaker than it has been since the early 1990s. (2) Part of that left has itself moved right (considering Samson’s Labour Party has governed far more to the right than it did under Kok, let alone Den Uyl). 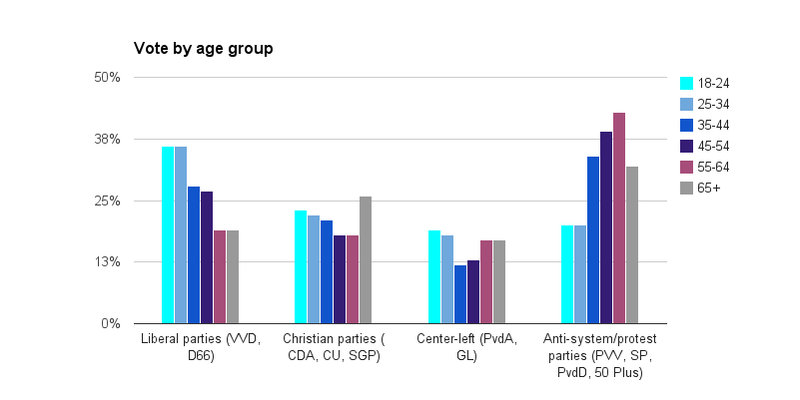 (3) The political center (D66, 50 Plus, the Christian Union) is stronger than it has long been, and it has eaten far more into the left than into the right. 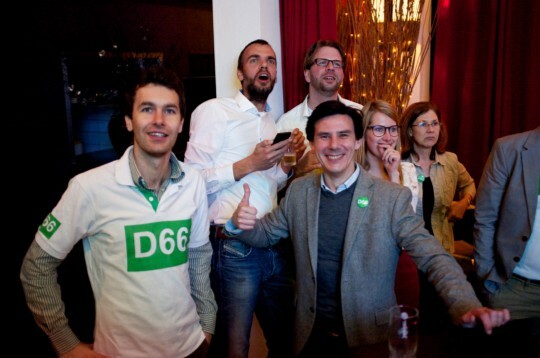 (4) The party that’s mainly behind that surge, D66, has itself ideologically moved right. 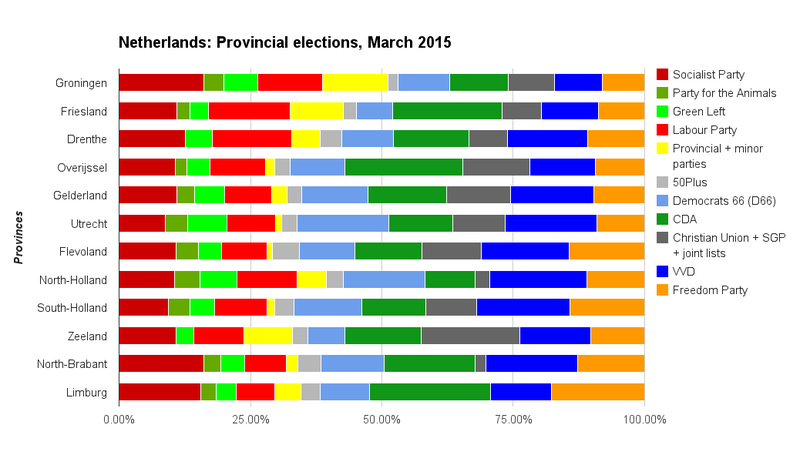 (5) Meanwhile, the right overall (VVD, CDA, PVV, SGP) has more or less held steady. Now you’re right that the leftward shift in socio-economic rhetoric by the PVV complicates that last part of the picture somewhat. 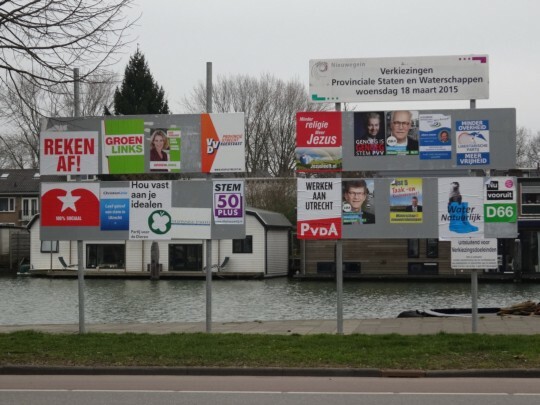 On the other hand, the PVV has pulled almost all the other parties a fair distance to the right on issues of immigration, integration, and perhaps the EU. 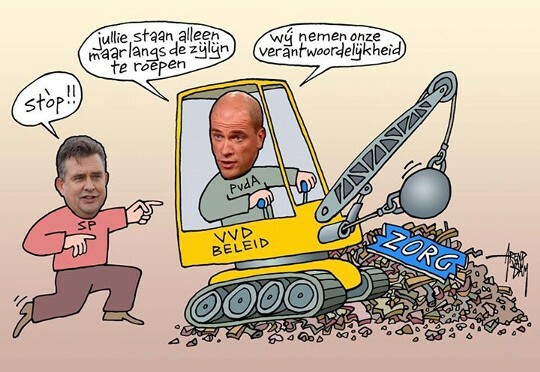 The PVV has certainly made the Dutch right much less coherent – there are not a great many things Buma and Wilders have in common. 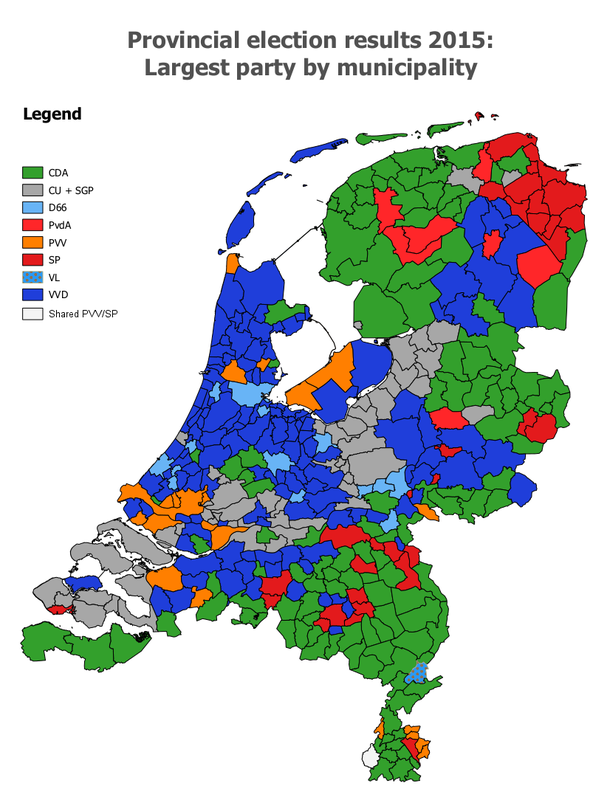 But on the whole I think it would be hard to argue that today’s right wing politics, represented in roughly equal parts by Rutte, Wilders and Buma, are any less right-wing than the right overall was under Bolkestein and Heerma in the 90s, or Lubbers and Nijpels in the 80s, or even Van Agt and Wiegel in the 70s (considering their penchant for deficit spending). 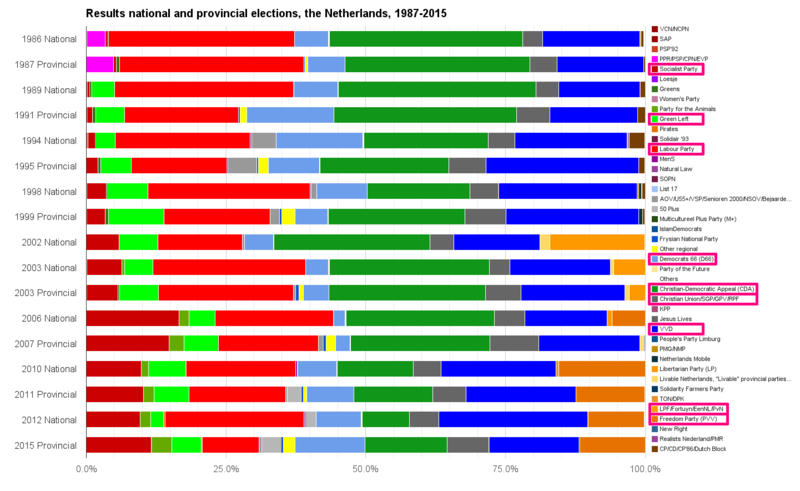 So I would go back to numbers (1) through (5) above to argue that the left in Holland is facing a gloomier picture now than it has had to in a very long time. That’s a very good question, and I think something Gael has written quite a bit about on this blog. Hopefully he’ll have a chance to weigh in when he returns from Colombia! 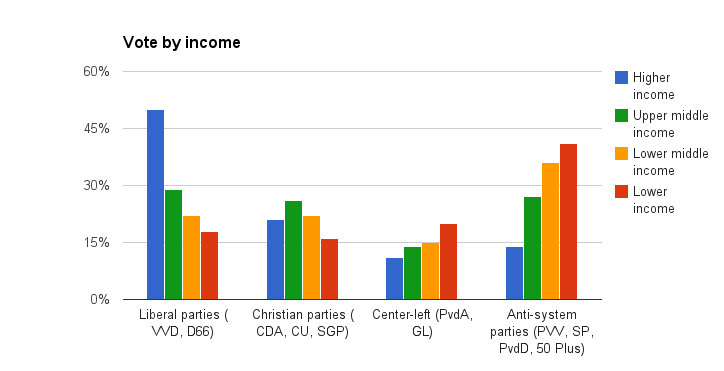 ChristenUnie is conservative on social issues, but centre-left economically. What you say about them and the SGP broadly makes sense, but they are rather distinct when it comes to economic policy. “if economic policy were the only thing that counted, D66 should, I believe, nowadays be called center-right” Yes, but one needs to be careful about making too much out of a few campaign pledges. We’d need to see more to be able to definitively rule out that this is just a brief fling and to say that the party has really changed its position. Consider, for example, the budget deal they made with the government. They didn’t really make it more fiscally conservative, if anything, the opposite is true. “its economic rhetoric has sharply shifted to the left in the last few years” No, it’s been that way since at least 2009. The ’65 years’ break-point was in 2010. Their calls for flat taxes were very early days. “rightwing-sounding elements (enthusiasm for tax cuts, intolerance for ‘benefit scroungers’)” I haven’t heard anything on tax cuts from them in an exceedingly long time, and the latter is only ever applied to immigrants or people of foreign descent. 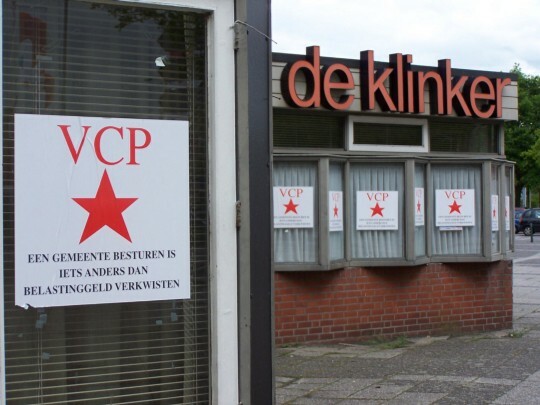 “the welfare state chauvinism of the PVV is fairly recent (and in my view transparently opportunistic)” it almost certainly is, to a large extent, but remember Wilders ended the coalition over the cabinet over cuts. A serious miscalculation perhaps, but I think it’s probably an actual reflection of the party considering the large immediate cost. A truly opportunistic party would more likely have let the cabinet continue. Using a single-dimensional political spectrum is not very useful and gives you some of these contradictions. Various nationalists and anti-immigrant parties have generally been left-wing economically but rarely economically liberal. Which makes sense, considering that they’re collectivists. Calling their position ‘far right’ obscures this while using two dimensions offers more clarity. 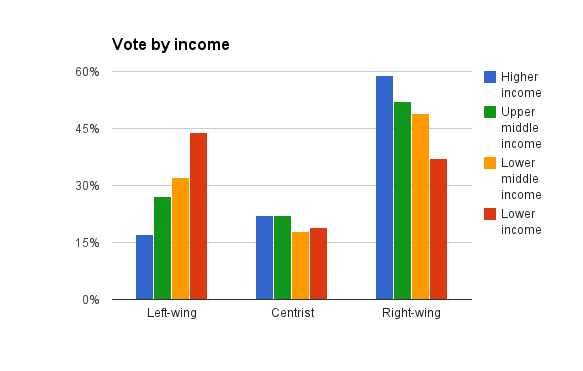 You make a good coherent case though; a shift from left to centre does indeed pull the average to the right. The centre-right is indeed no less right than in previous decades, but it’s only really moved to the right on social/cultural/immigration issues, not much (if at all) on economics. I don’t think we disagree all that much, really. 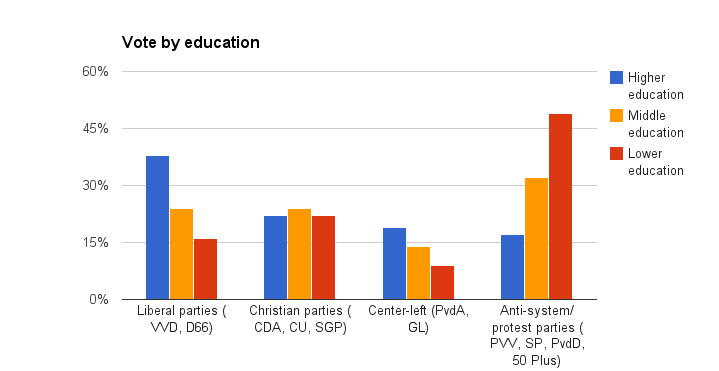 We may disagree a bit about the relative recentness of the shift to the right of D66 vs the shift to the left of the PVV. 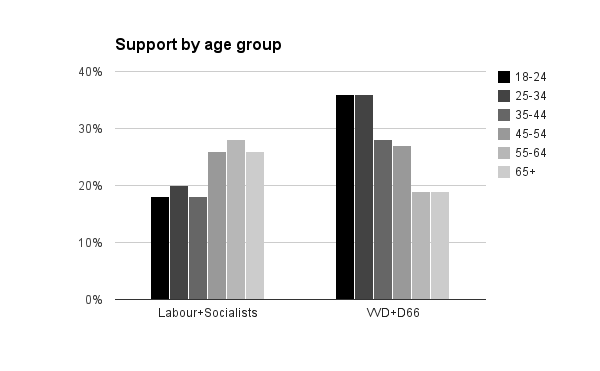 I’d date the shift to the right of D66, at least on economic policy, back to 2003-2006, when they joined a right-wing government and their policy focus changed accordingly. The party shrunk immensely, with many of the more center-left supporters leaving and much of the old guard withdrawing; and then-leader Boris Dittrich spearheaded a move to a more purely liberal economic focus to supplant the social-liberal course of Van Mierlo, De Graaf etc. So that shift has been longer in coming and deeper in scope than just a few recent campaign pledges. As for the Christian Union, I think you misunderstood me: substantively, I fully agree with you. It’s more of a practical issue. 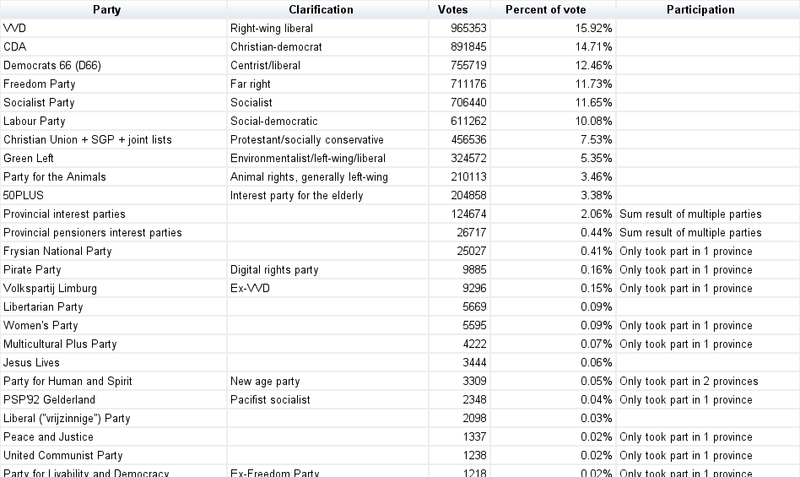 In these provincial elections, the Christian Union and SGP ran common lists in several provinces, so it’s not really possible to tease apart the support for one and the other party in this year’s election results. And there’s no way to categorize the SGP as anything but right-wing, whereas the Christian Union’s position in the political landscape is more ambiguous, as you point out. The reclassification of sorts, in political commentary, of the Christian Union as centrist is in itself kind of an interesting case. I might be wrong, but it seems to me that the CU’s values and platform haven’t really changed all that much from the pre-merger days of the GPV and RPF. 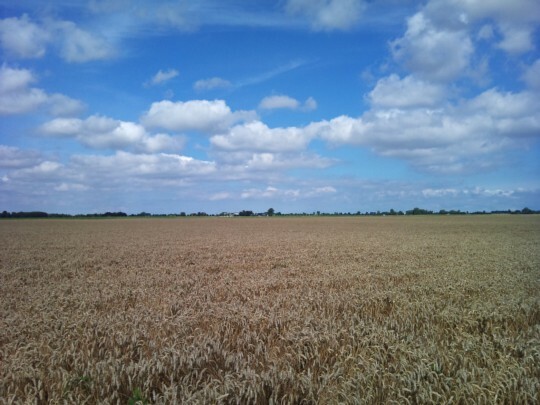 It seems rather that the cultural hot button issues that used to have them grouped together with the SGP as “the small right” have lost much of their potency, whereas the CU takes a very moderate position on issues that are now very ‘hot’, like immigration and integration. So their ‘reclassification’ doesn’t seem so much a matter of their positions changing, but of the political landscape shifting around them. That’s my impression, at least, but I’m open to being corrected.